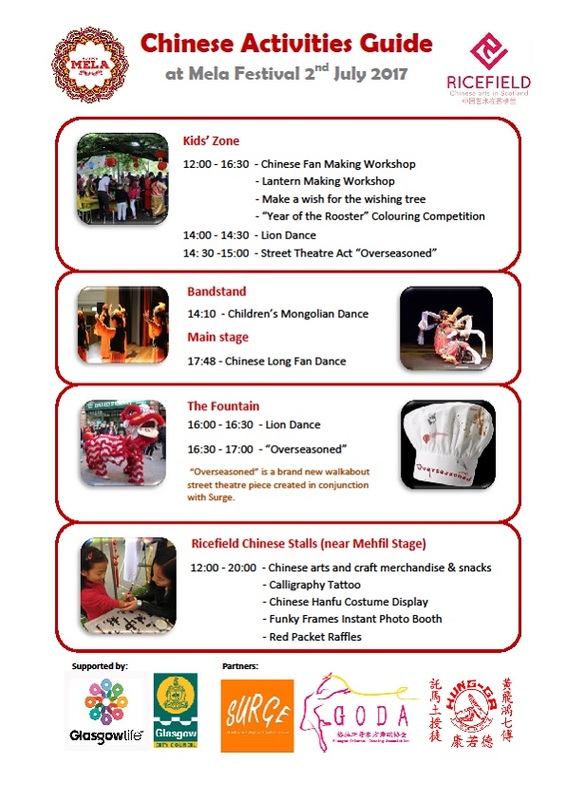 Join Ricefield Arts at Glasgow’s Kelvin Hall and the Riverside Museum for our annual Chinese New Year Family Day event. We’ll be leading FREE workshops, games and activities across two venues, suitable for all ages. Join us and celebrate the Year of the Pig! Join Ricefield Arts for our very first Kite Festival on July 22 in Glasgow’s Bellahouston Park! You’ll have the chance to make, decorate and fly your own kite, as well as learning about the kite’s long history from ancient to today. Come along for an afternoon of activities for all ages. For the latest updates please click here. An experiential approach to Chinese tea tasting. From tea identification and processes from the moment the leaves are plucked from the tea plant, through withering, fermentation, oxidation, fixation, rolling, drying, to brewing into a beverage to be sipped and savoured. Short texts are selected to accompany each tea as dialogues to excite the palate. A relaxing one hour experience introducing the beauty of the Chinese tea aesthetic, not to be missed by tea lovers! Please email clarinda@ricefield.org.uk to secure booking, as spaces are limited. Join Ricefield Arts for our second Chinese Craft Fair. This time we’re heading to North Glasgow, as part of the fun at the Glasgow Canal Festival on Saturday July 22. 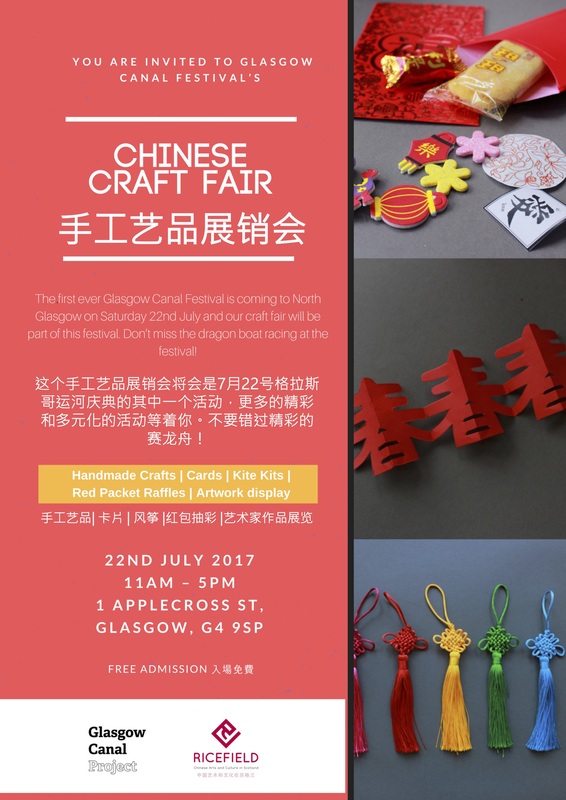 Come along for a wide selection of handmade Chinese crafts, cards, kites, games and toys and decorations, as well as artwork on display by local artists. Our red envelope raffle is also returning, with a selection of prizes if you’re lucky! Ricefield Arts will join the festivities in Kelvingrove Park this summer for Glasgow Mela 2017. We’ll be selling Chinese craft products and red packet raffle prizes, giving you an opportunity to try on traditional Chinese costumes, and doing calligraphy tattoos. Over at the Kids’ Zone we’ll be offering workshops on lantern and fan making, as well as a chance to make a wish on the wishing tree. You can also spot Chinese performances, including a lion dance and our collaboration with Surge, Overseasoned, a street theatre project based on Chinese cooking. Visit the Mela website for more information.